Many custom sheet metal fabricators face obstacles in finding new markets due to the inability to reach out and connect with suitable trading partners. It is often costly and culturally challenging, let alone time-consuming, to overcome such obstacles without an effective platform. It is for this exact reason why P-IMEX was created. Those fabricators now have access to an entire network of trading partners across the globe. Bridging the gap between buyers and sellers of custom sheet metal fabrication has just gotten easier and most of all, cost-effective. Conventional marketing techniques are no longer productive as in the past. Trade shows and cold calls are now being usurped by the digital age. Organizations that don’t adapt may find it difficult to survive the current technological tremor sweeping the globe. P-IMEX is your perfect collaborator in gaining you absolute exposure to a global market place filled with opportunity and promise. Imagine your potential when barriers to locating trading partners worldwide are eliminated! What are the Challenges in the Sheet metal Fabrication Industry? The metal fabrication industry is a broad sector that is generally divided on the basis of form, material, industry verticals, and geographical location. In terms of the industry verticals, the market for sheet metal fabrication services is divided into several segments such as defense, electronics, construction, automotive, and many more. And when it comes to the geographical aspect, the market is spread over the Asia Pacific (APAC), Middle East & Africa (MEA), Europe, and North America. 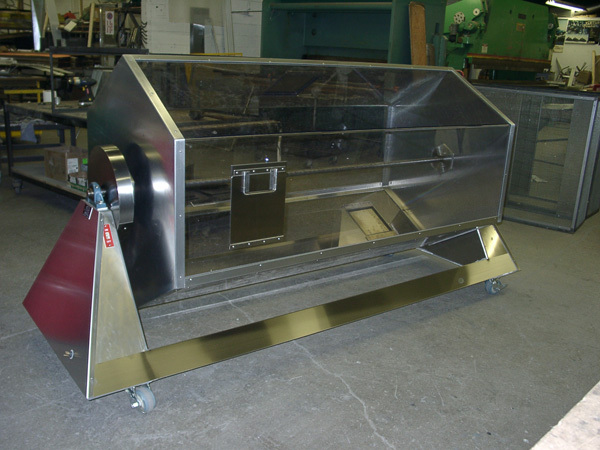 It is a highly complex industry and as such, the fabricators face many difficulties when looking for new buyers and sellers of custom metal fabrication products. Deal-making becomes a problem when encountering legal, logistical and cultural differences, and not knowing how to cope with them. Misconceptions and miscommunication are often the culprits.